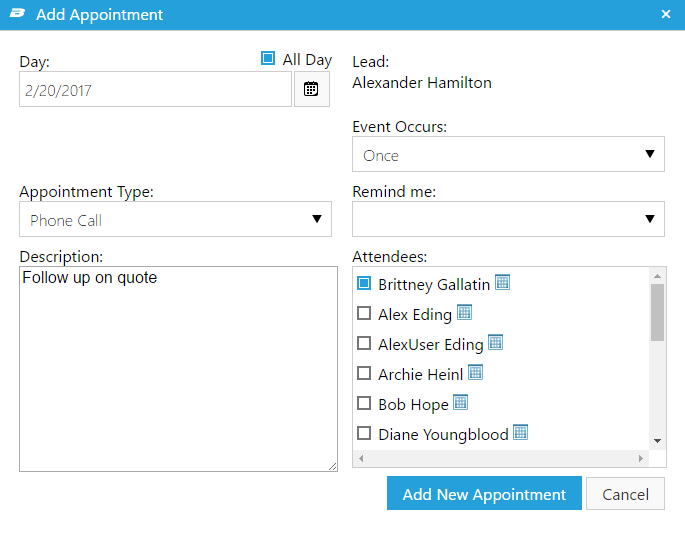 A checkbox has been added to the Add/Edit Appointment screen to indicate an “All Day” appointment. This is useful for tasks or appointments that can be completed any time of the day. When “All Day” is checked, the Start/End times are removed to show the day only. Navigate to Administration > Quick Actions. Click “Add New Quick Action” to create a new Quick Action, or the edit pencil next to an existing Quick Action to edit it. 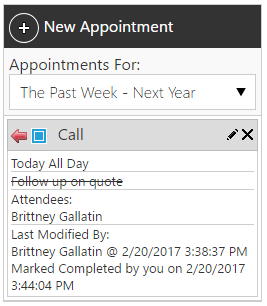 When you choose to follow up in a certain number of days, there is now a checkbox option to make that an all day appointment. If All Day is not checked, the appointment will be added for the time of day that the Quick Action was used. An appointment will no longer generate a Neglected Lead if the “completed” check box is checked on the appointment. What is a neglected lead? 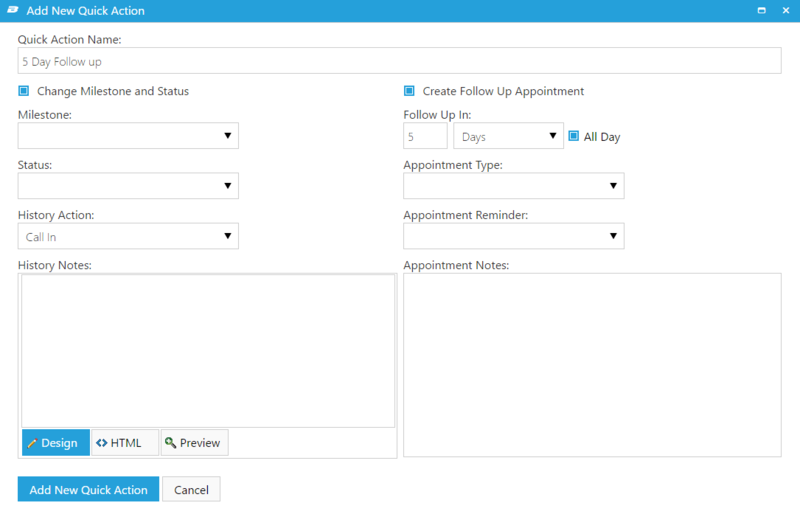 An appointment can be checked completed from the main Schedule, or from within a lead log.